Is your design team stressed with creating dozens or maybe even hundreds of ad variations each month? It happens when local marketers need customized content. Graphic artists often find themselves overwhelmed with reworking multiple versions of the same digital ad or piece of print collateral. Not to mention the design briefings and seemingly endless rounds of edits and approvals. There’s a better way–a marketing collateral management system. Here’s how design teams can benefit from using brand asset management software. Marketing directors. Distributed marketers. Marketing agencies. Design directors. Graphic artists. You’re all wondering how you and your design team can benefit from brand asset management software. Let’s start by defining what it is. It could be as simple as a web-to-print site for brands that have a dozen locations. Or it could be a multi-channel platform that serves hundreds or thousands of users all over the world. A Brand Marketing Center. Automated Marketing Campaigns. Digital Asset Management. It’s all part of a big-picture marketing collateral management system that improves your brand’s consistency and ROI. When you design a marketing template for your brand, you no longer need to build a customized version for every local marketer. Instead, you create one version—pre-built and pre-sized—and decide which elements can be customized. For example, you could set the fonts, colors, and placement of the information. But you allow a user to choose from pre-approved images. Then they adjust the copy to provide their locally targeted details. Pre-designed templates let users drag-and-drop their way to completed digital or print collateral. This maintains brand standards while giving the local marketer some leeway with the parts that matter most to them. In this way, the marketing collateral management system saves time and money while giving your brand the consistency it needs to be successful. Changeable image – Users can change the image to appeal to a particular (local) audience. The user selects their preference from the pre-approved images in your digital asset library. Color changes – Users can change the colors of specific areas. Maybe your brand colors are Pantone 18-3838 and 127 C. You’re OK with either color, so you give the user the options. Both colors conform to brand standards. Layout choices – Provide one or more layouts that meet your design standards. Because the templates are pre-approved, there’s no need to deal with permission requests. Present the options and let the user take their pick. Size options – One size usually does not fit all, so create multiple versions. This will appeal to the needs of your users by giving them some freedom with the final presentation. Text editing – Don’t worry if your users aren’t your best writers. In fact, you don’t need to worry about what kind of writers they are at all. Which means you don’t need to edit their work. They can “localize” the approved copy via a simple form they can fill out. Contact us – Your address and contact information are already in place, so you don’t have to spend time re-entering them. With this type of marketing collateral management system, you give the user some freedom to be creative, but you still have control. Many brands have a collection of logos, product photos, lifestyle images, etc. They use them for their marketing concepts, web design, and even internal documents. The problem is how to make them available to a variety of authorized users, like local marketers. Taking email requests, looking for files, and sending messages back and forth is tedious and frustrating. Digital asset management allows you to store and organize all your digital files in one secure location. Logos, photos, audio and video files. Any digital asset, even the customizable marketing templates, are fair game. The local user can search for and download what they need. That means you won’t have any more desktop scavenger hunts. A marketing collateral management system also makes it easy for everyone to have access to the most recent version of any given file, like brand guidelines. Just upload the document or file. It will automatically override the previous version and the new file will be available for everyone to use right away. All your marketing concepts and related content should be available to local users in the Brand Marketing Center. Print collateral — like brand guidelines, style guides, templates for printed collateral, contact lists—are the types of documents users can access regularly. You can make this information readily available for any authorized user with an internet connection. Plus, it saves you from having to fulfill requests for those items. Aside from downloadable files, the Brand Marketing Center could also include best-practice forums, awards/recognitions, and whatever else you feel is useful for your audience. Let’s get to the benefits of brand asset management software. 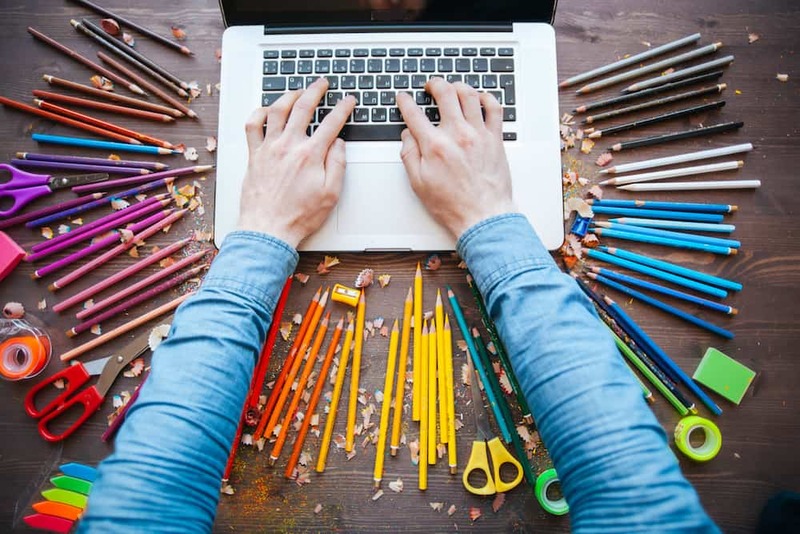 You and your design team can talk about how it gives your company a convenient place to “store your stuff.” After all, having these assets in a secure, organized portal is a tremendous reward in and of itself. But the benefits it provides will have you wondering how you ever managed your marketing without it. When you create content that meets brand standards, you develop the consistency you need to be a successful brand. For example, an approved template that only allows users to make authorized changes is an important step in ensuring you stay consistent. That consistency strengthens your identity and creates trust with your customers. Your design team doesn’t have to worry about creating custom content for each local marketer. So they have the time to work on other things. It also frees them to be more innovative and creative. 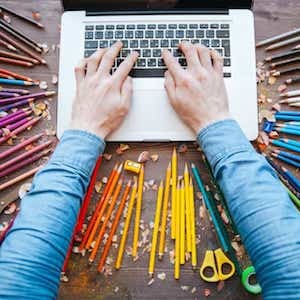 They won’t have to spend their day churning out slight variations of the same piece—a mind-numbing task for any graphic artist. For California Casualty, within a few weeks of implementing their customized BlueSky ETO software solution, they rediscovered one of their most cherished resources: time. Even a feature like easy password retrieval freed up time for users and marketing executives. Not to mention the impact of streamlined web-to-print design and delivery processes. Without the burden of micromanaging, the central marketing department had more time. They could analyze strategies, explore their market, and innovate engaging distributed marketing campaigns. You can protect the integrity of your brand while still providing for local, national, and global marketing needs. A marketing collateral management system even supports multiple languages. This creates tremendous value for your brand. Brand Asset Management software can significantly reduce your print collateral marketing costs. BlueSky ETO customers have enjoyed the benefits of speed (50% faster to market) and accuracy (80% less oversight). If you have a franchise, your local stores can order the specific pieces they need for their location. You don’t have to worry about shipping too many materials to them—like promotional items that might wind up in the trash rather than their storefront. You can save time at each step in the process. When users design, order, proof, and approve their own customized marketing materials, it turns days into minutes. Talk about time savings. Your design team creates the elements that remain fixed. In conjunction with the central marketing department, this determines which ones local users can edit. The user-friendly software makes targeted marketing pieces simple to create. And it reduces the need for ongoing rounds of approvals and edits. You can track and monitor all orders. This keeps you on time and on budget. It also allows you to take an overview of everything that’s happening so you can be sure the process runs the way you want it to. Efficiently and accurately. Plus, you have access to specific reporting capabilities to strengthen your sales and marketing strategies. You can check on everything from production and product orders to digital asset searches, website portal usage, and much more. Not all marketing collateral management systems are the same. BlueSky ETO’s software solution is customized for each customer. It’s “engineered to order” for your organization, which means it’s built specifically for your particular challenges and goals. And it’s scalable, so no matter how much you grow, you can adjust the marketing collateral management system to fit your needs. Your design team works hard to create marketing materials that engage customers through a variety of channels, like printed collateral, direct mail, digital, and point-of-sale materials. You want your marketing collateral to speak with a common voice and consistent imagery that builds your brand equity. Is your current digital asset solution able to use the content to make customized or localized marketing materials? Asset management software typically acts as a standalone tool to house assets like photos or videos. 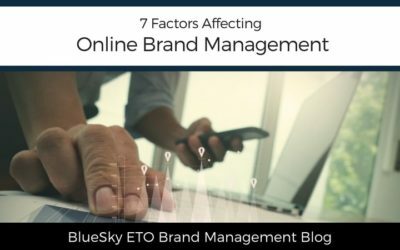 BlueSky ETO’s marketing resource management software solution is different. It’s more powerful because it can use the assets to create customizable templates. Schedule a one-on-one consultation with a BlueSky ETO representative to help your design team begin transforming your brand today. Spending too much time helping marketers with digital and print collateral? A marketing collateral management system can help. I think for most small businesses branding doesn’t play a big enough roll. This definitely explains why it should. everything in one place. Great post, brand marketing is so important. This is a great resource for people in need of branding and to keep everything in one place is a real plus. I will have to look into more depth everything they can do. I definitely could use some more coordinating when it came to brands. As someone who works in marketing, I can attest to the importance of this! A brand management software is super helpful to maintain brand identity. There is so much that goes into making your brand unique and stand out. Such a comprehensive way to get it all consistent. I’m finding consistency is helping my brand be recognizable. I still have a lot to learn though, and having software would help. You did an excellent job of explaining brand asset management software. I believe many firms that need this probably don’t even know it’s available. After my uncle Harry appointed a brand manager last year, his biz began to improve slowly over time. These days, marketing needs to be in tune with social trends. I feel like half of managing a successful business is just having the right kind of organization. This is perfect. I’m sure the brands love the consistency as well. Love how you broke everything down and explained it so thoroughly but also in a way that’s easy to understand! I don’t think enough about brand marketing but it is a huge part of my life as a blogger. Thank you so much for breaking it down. Thank you for sharing this informative post about brand marketing and even giving the steps to take. It certainly has many great benefits! It seems like it could really make a difference and would be a good investment. Very informative article. This helps me understand blogging or any websites. I have so much going on at work at the moment and so many things to work for (brand, marketing, socials) that having everything in one place would help a lot! One place for everything is great. The cost-savings alone makes it worth it. I am sure that a good brand management software can make a huge difference to a company. This is a really great article and so very helpful for anyone running a business. I love the graphics you used they are clear and easy to understand. Great job. This sounds like some interesting software, I am sure brand management can be hard when you have your own business, I find it hard enough just with my blog! Sounds amazing for designers. I have to work more on my brand image, I neglected a lot. No doubt that a good brand management software can really make a difference for a company but also for a small business. Great information thanks! This is something I have been wondering if it would be worth looking at for my blog. Thank you for always sharing so much info. This website has been very helpful to me! This would be so helpful with my blog. Right now I use minimal software to help me with my blog, but if I had something like this in mind it would make everything so much more efficient! I definitely learned a lot about brand marketing from your post. I need to work on mine more and this software sounds so convenient! This software looks like it helps people figure it all out. I like the picture guide to help me. We are almost to the point where we are ready to really focus on our brand marketing. All of your points are so key and true – it would be so convenient to have access to all of our digital assets in one place! This sounds great. I do need to work on my brand marketing, that’s for sure. I previously did not know much about brand marketing and how stressful it can be! Definitely see the value in this. I love all the visuals to better explain marketing. I’m a small operation for the time being and I do most of my own marketing. But this helps me see how to be productive as I grow. Thanks for sharing this, marketing can be really confusing sometimes. I love this totally how you explain everything. Great post! I have been in marketing for 20 years and I can really see the value in this. Thanks for the great information. Marketing can get messy. It would be neat to have a way to keep it all organized. We actually outsource a lot of ours now. I love this. My husband owns his own business and he is in the process of getting a social media manager on his team. I am going to share this with him. It would be really great for them to know about all these options.